Bukit Takun a huge 300m high monolith located inside Templer Park Golf Course, about 20km from the city of Kuala Lumpur. 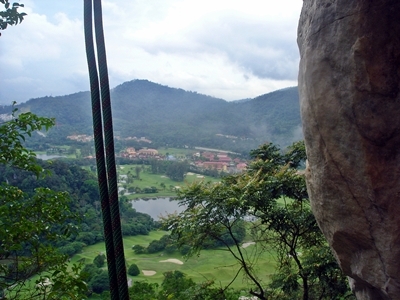 Routes were bolted from 1985, therefore it was possibly the first rock climbing site in Malaysia. 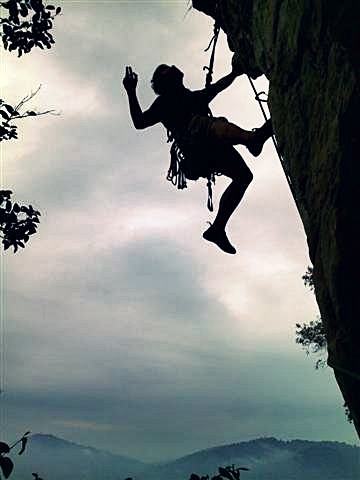 There are about 32 bolted sport and traditional climbing routes until now, mostly from French grade 6a+ ~ 7a. 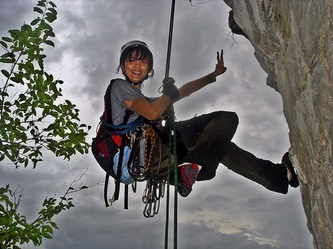 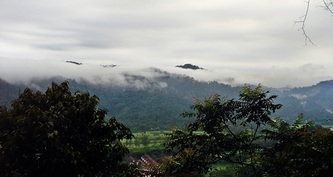 The unique climb in Bukit Takun is about the rock formation, the base of the cliff is mostly granite and upper region is limestone with some stalactite and pinnacle holds. 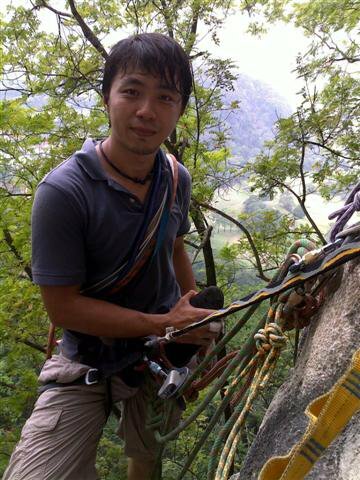 Bukit Takun has a popular multi-pitch (9pitches) climbing route “Pussey Key” which led you up to the summit. 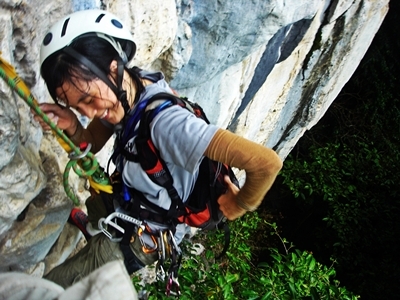 Its consist of mixed protection routes, first 4pitches are sport climbing, the rest are trad climbing without bolted anchor, only minimum bolts are available within each route, therefore you need to place natural protection gears such as nuts, slings and friends. Some anchors are just a sling tighten on the tree with a “quick-link” attached to it. Do bring long and more slings, “quick-link” and be prepared to be left there for anchoring. 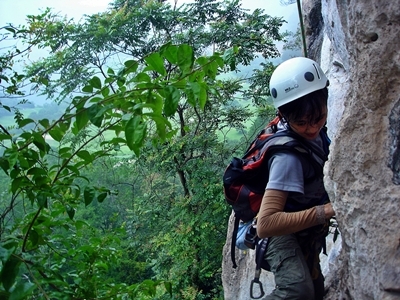 To lower down to the base, you could repel down or take the alternative path down. 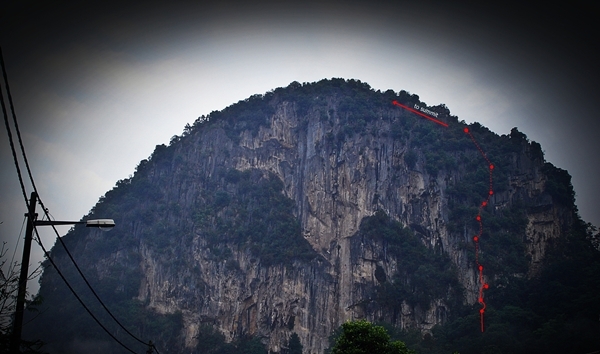 Now Bukit Takun still remains huge potential of new routes development.